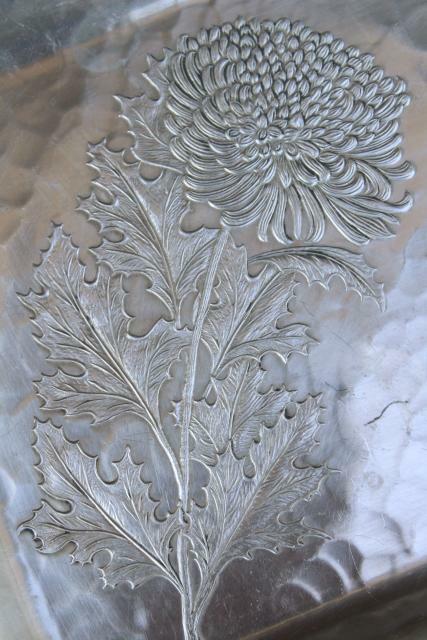 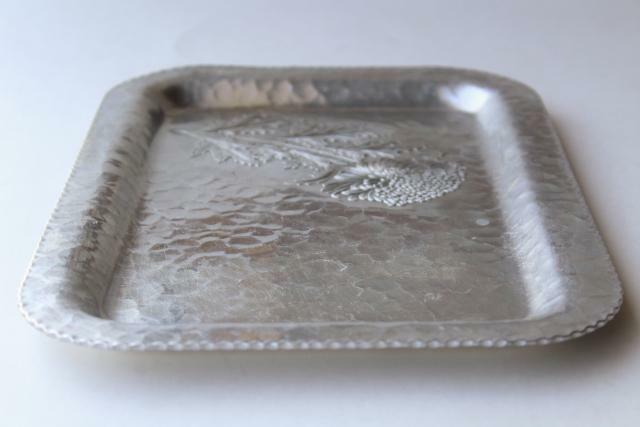 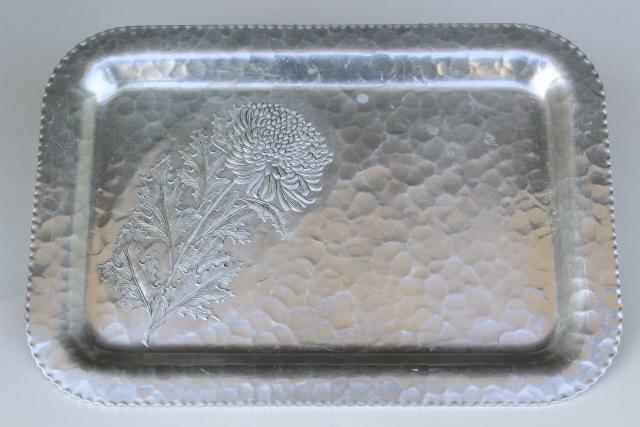 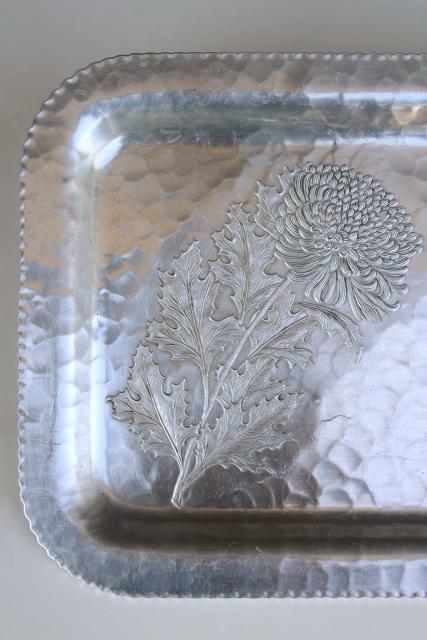 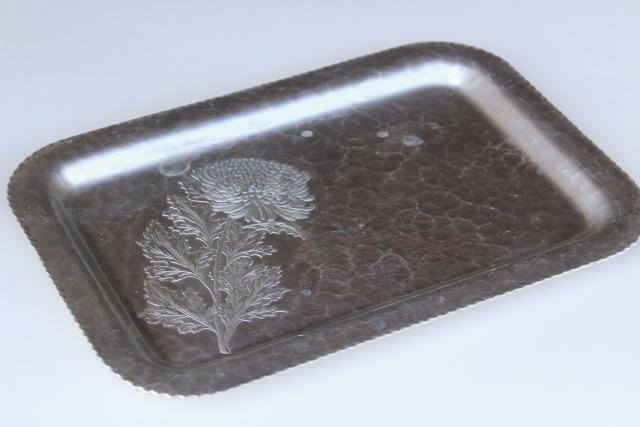 Mid-century vintage Continental hand forged aluminum tray with a huge mum flower, very mod! 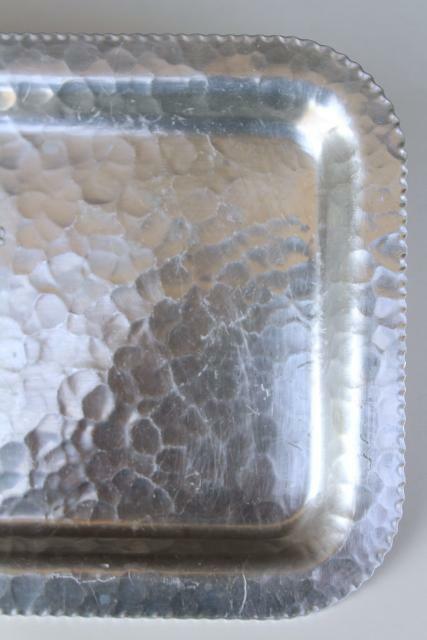 This measures about 12 1/4" x 8 1/2" overall. 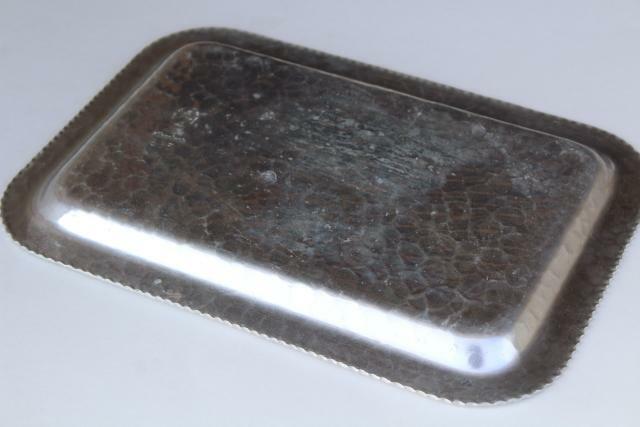 It's in good condition, just a few spots and a little tarnish. 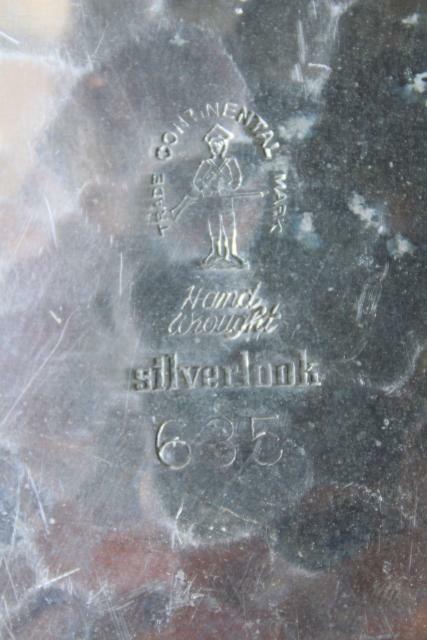 We haven't polished it.